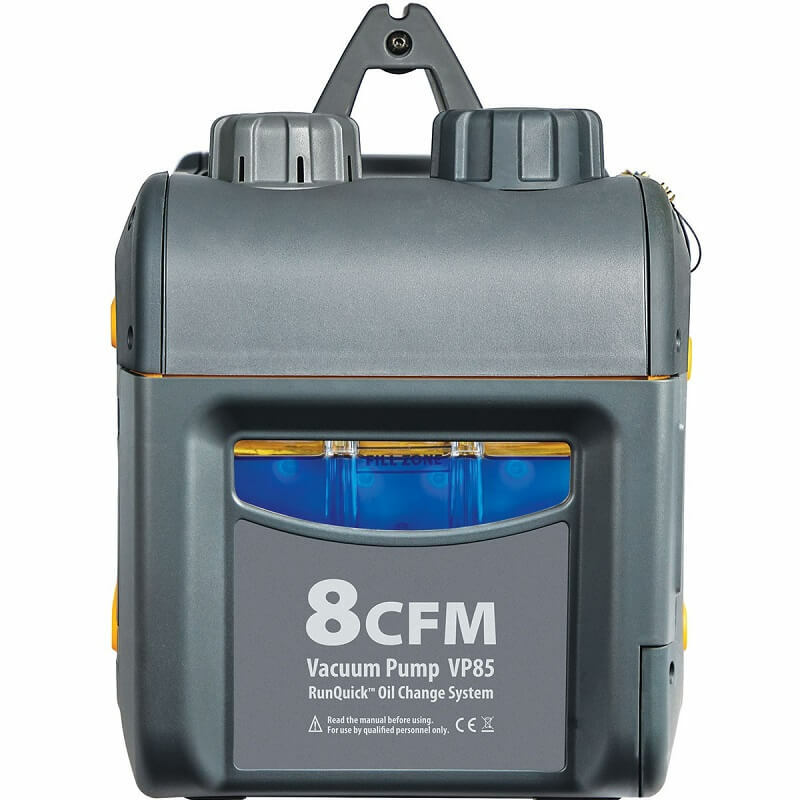 The Fieldpiece VP85 is a new 8 CFM vacuum pump that features RunQuick™ and IP24 protection to allow for operation even in the rain. RunQuick™ is a new technology that boasts a complete oil replacement in under 20 seconds, even with the pump running! 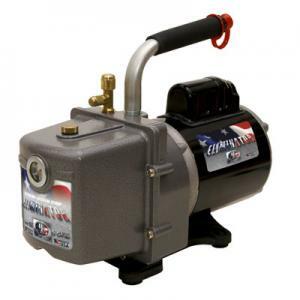 Our first thought when hearing about this new Fieldpiece vacuum pump was the excitement from the HVAC technician community. Improving the efficiency and lifespan of an HVAC system starts with performing a proper system evacuation before a recharge of the system. 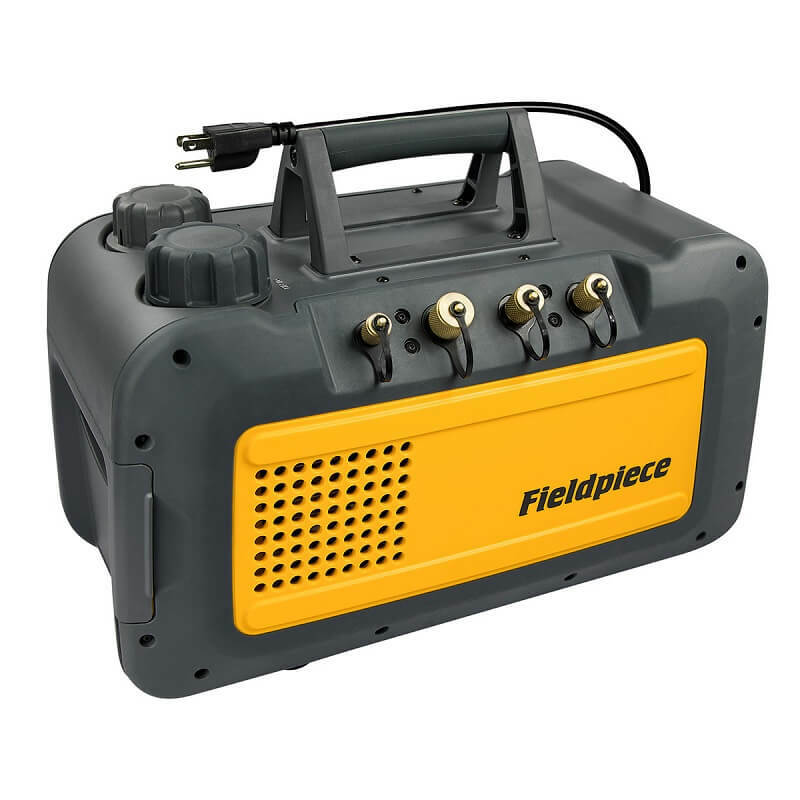 The VP85 and MR45 Refrigerant Recovery Machine accomplish these goals by utilizing Fieldpiece vast knowledge of what HVAC technicians really want out of their tools. 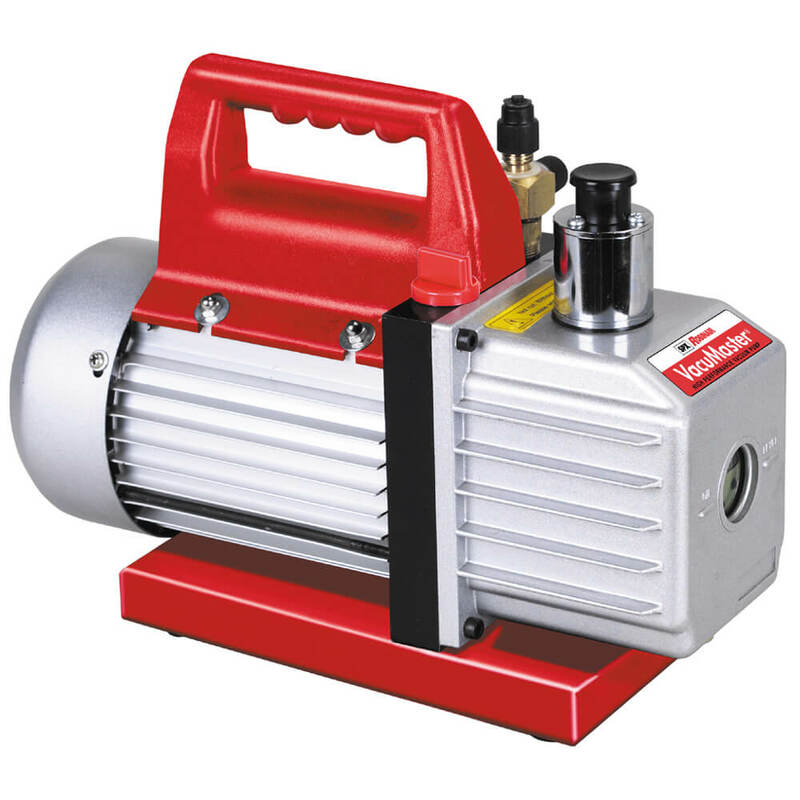 Keeping high quality oil is one of the biggest factor in the continued performance of any vacuum pump. Checking the oil and performing regular oil changes should be a part of any technicians routine maintenance plan. 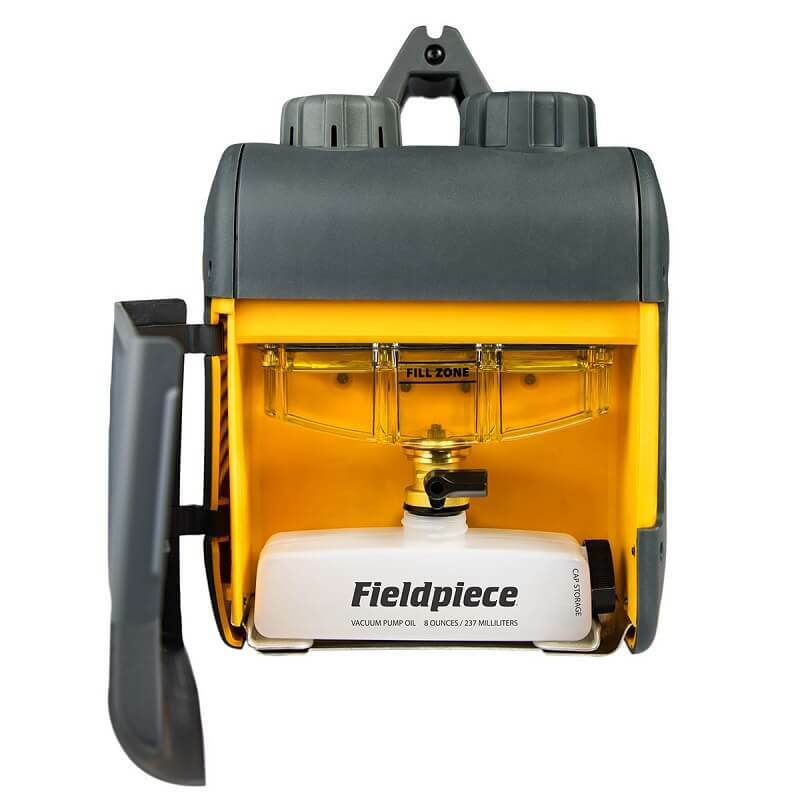 Luckily, Fieldpiece simplified this process by giving the VP85 an easy view window and oil backlight to check the condition of the oil quickly. 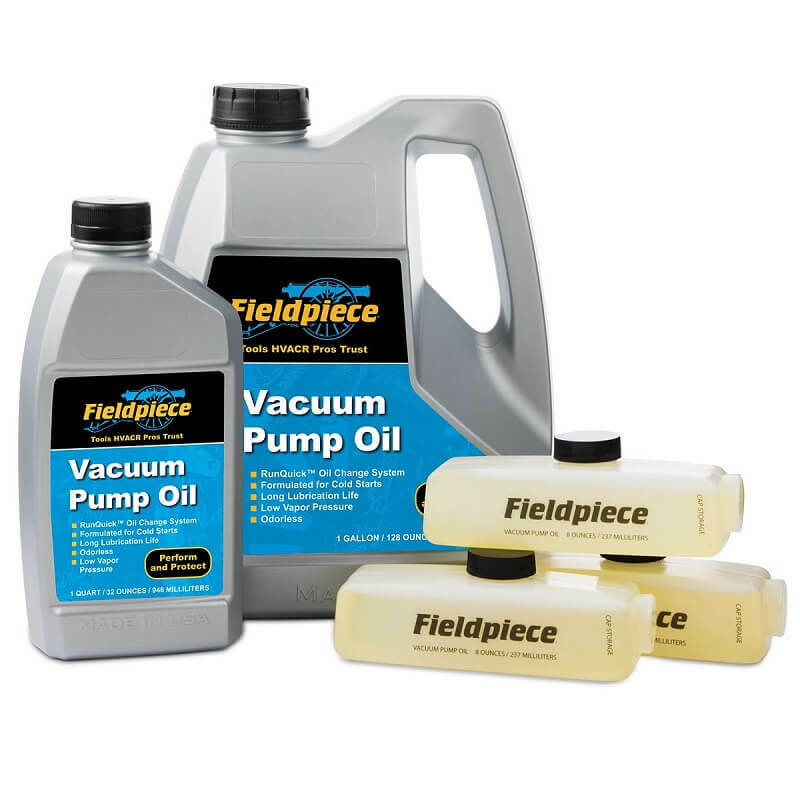 They have also introduced RunQuick™ which allows the oil to be changed even while the pump is running and can finish the job in under 20 seconds! 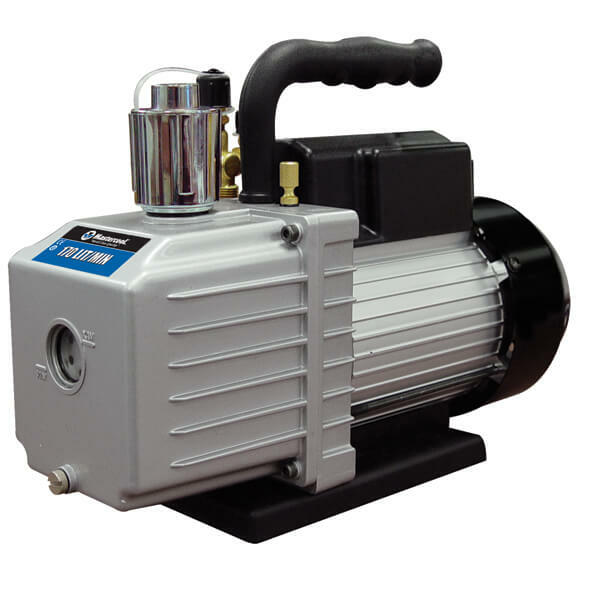 The VP85 HVAC vacuum pump also features an extra sturdy base and wide mouth oil fill port to prevent tipping and spilling of oil. 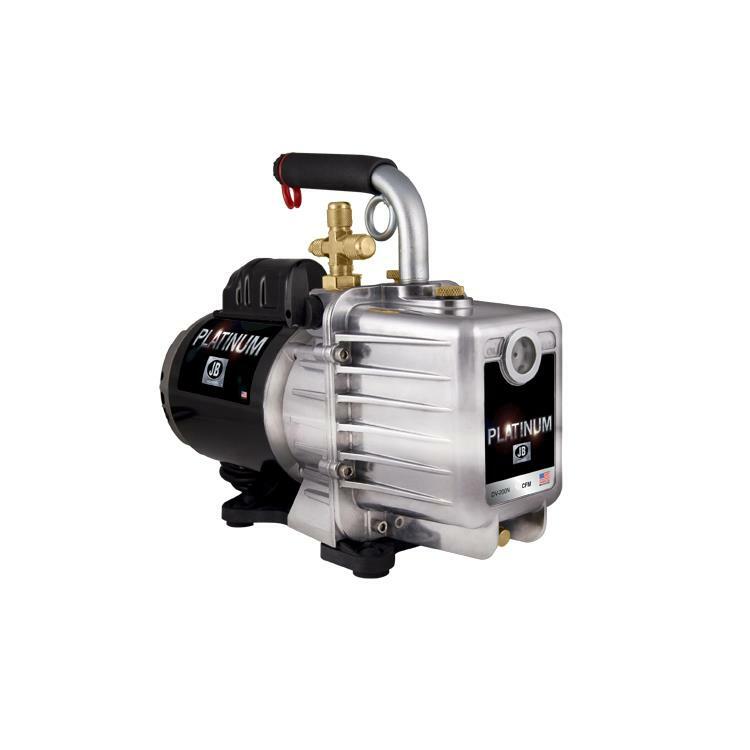 The 4 inline ports allow for 3 different sized hose connections and create nice clean hose routing making for maximum utility. Very fast and efficient and tested to work in a rain. Now, I don't have to stop pulling vacuum, when it rains. Great tool and save time.